Arthur George Holland was born in Wolverhampton in 1883, the son of Henry and Elizabeth Holland. By 1901, the family were living at 156 Coleman Street together with Arthur’s sisters Ellen and Nora, and the seventeen-year-old Arthur was now a locksmith. Arthur’s mother died later the same year. In 1903, Arthur married, either to Florence Winifred Fletcher or Lucie Ward. Arthur enlisted in the 2nd Battalion of the Border Regiment (number 29079). He died on 30 October 1917 at the age of 32. He is commemorated at the Lijssenthoek Military Cemetery. Samuel Francis Tudor was born in Wolverhampton in 1890, the son of Arthur William and Mary Elizabeth Tudor. In 1901, they were living at 9 Southampton Street, together with Samuel’s brothers Arthur William, George, Herbert and James Herbert, and sisters Clara Elizabeth and Ellen Amelia. Samuel married Hannah Evans in 1914. The couple went on to have six children – William, Mary, Clara, Doris, Maurice and Valerie – between 1915 and 1938. He enlisted in the South Staffordshire Regiment (number 3561) and became a Lance-Corporal. 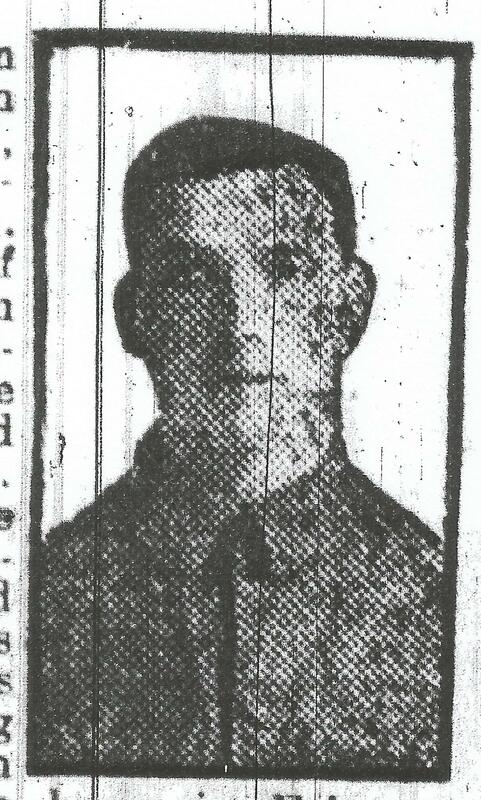 On 12 May 1916 it was reported in the Express & Star that Samuel had been wounded. However, he clearly recovered from his wounds as he had a number of children after the war. Samuel Evans was born in about 1894, the son of Samuel and Sarah Jane Evans. In 1901 they were living at 44 Duke Street together with Samuel’s brother Charlie and sisters Elizabeth and Maud. Samuel’s father, Samuel, died later the same year, and his mother remarried a Charles Weaver in 1909. Samuel worked as a fireman at the Cleveland Ironworks. He trained as a Territorial at Penn Court and Saffron Walden. Samuel enlisted in the 6th Battalion of the South Staffordshire Regiment (number 2652) when war broke out in 1914, and went abroad in March 1915. He was wounded in “one of the fierce fights with the Germans” on 13 October 1915, in the attack on the Hohenzollern Redoubt. He died from his injuries on 20 October. 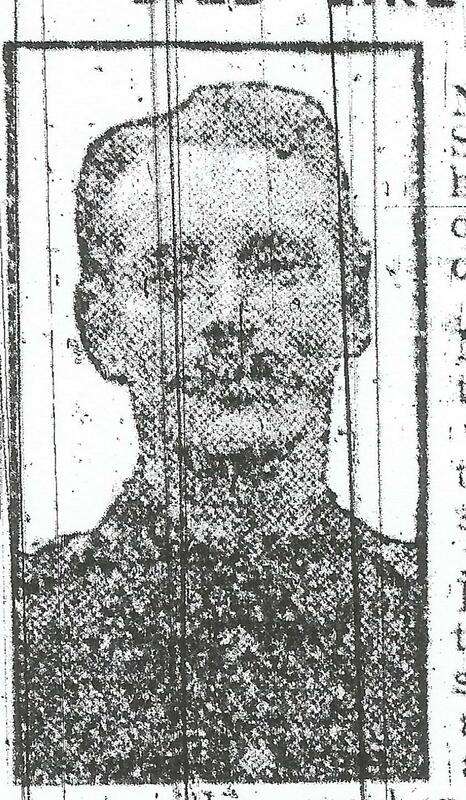 He was featured (with two different photographs) in the Midland Counties Express on 11 December 1915 and again on 6 January 1917. He is honoured at the Lillers Communal Cemetery, as well as on the Heath Park memorial. He is featured on the “Black Country Territorials” site. Arthur Banks was born in Wolverhampton in about 1893, the son of Isaac and Sarah Jane Banks. In 1901, they were living at 163 Hickman Street, in Wednesfield, together with Arthur’s brother James and sister May. Later on they moved to 21 Victoria Road, Wednesfield. Arthur enlisted with the 2nd/6th Battalion of the South Staffordshire Regiment (number 5082), and served in Ireland. He was killed in Dublin during the Irish Rebellion on 29 April 1916, and his name was listed among the “Nine Black Country Men Killed” in the Express & Star on 12 May 1916. He is buried at the Grangegorman Military Cemetery in Ireland, and commemorated on the Wednesfield Village Roll of Honour. The Express & Star of 13 September 1916 contains a cautionary tale for publicans and landlords. The Central Liquor Control Board, appointed by an Act of Parliament, had recently imposed restrictions on the sale of beer between specified hours. George Hadley, licensee of the Crown Hotel in Bilston Street, was summoned before the Stipendiary for selling beer to two men during the prohibited hours. His wife, Agnes Hadley, was summoned for aiding and abetting, and the two men concerned, Frederick Lawrence and Joseph Bailey, both from Wednesbury, were summoned for consuming the beer on the premises during the prohibited hours. On 30 August 1916, which was a market day, Mr Hadley had held a commercial dinner at the Crown Hotel. Lawrence and Bailey had paid within the prescribed hours 1s. 8d. each, to include a glass of beer. After the meal the men went into the market and returned at 3.30pm for the beer, which Mrs Hadley gave them. According to the article, “she acted quite innocently, and those proceedings would act as a warning to her.” As a result, Mr and Mrs Hadley were fined £6 10s. in all, and Lawrence and Bailey 6s. and 6d. each. Horace Frederick Gough was born in Wolverhampton in 1895, the son of Philip J. and Alice L. Gough. In 1901, they were at 56 Leicester Street, together with Horace’s brothers Percy and William, and a boarder, James Hilton. Horace attended Christ Church School, whom he represented at the School Sports competition held at the Molineux Grounds, when he became second champion. He was also a good footballer and runner. In 1913, Horace initially enlisted with the Hussars (number 10381), before becoming a Second Lieutenant and being transferred to the 8th Battalion of the North Staffordshire Regiment. At some point, he was awarded the Distinguished Service Order for service on the battlefield. 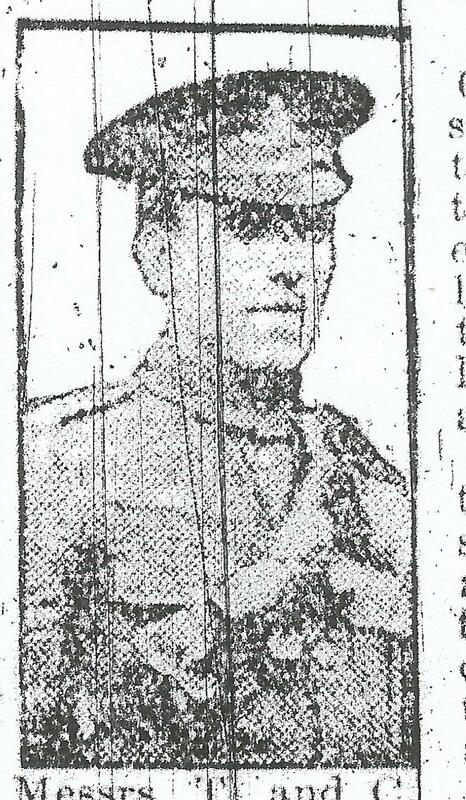 He was killed in action on 21 September 1917, and this was reported in the Express & Star on 20 November 1917. He is commemorated at the Oxford Road Cemetery in Belgium. John Thomas Davenport was born in 1889. His entry on the 1901 census states that he was born in Walsall, but his birth was registered in Wolverhampton. By 1901, John and his family are listed at 3 Dark Street, Moseley Village, Heath Town, and John appears with his parents Charles Herbert and Eliza Jane and sister Sarah J. Davenport. John enlisted in the 1st/6th Battalion of the South Staffordshire Regiment (number 240145). He was killed in action on 11 May 1917. This was reported in the Express & Star on 20 June 1917. He is commemorated at the Lievin Communal Cemetery in France. James Ling was born in Wolverhampton in 1878, the son of William and Maria Ling. By 1901, he had became a baby carriage maker and was living with his family at 11 Bilston Street. Along with his parents, James was joined by his brothers Albert, Arthur, Frank, John and William, sister Doris, and a servant, Eleanor Whittingham. James married Gertrude Hughes later that year, and they went on to have four children. They moved to the back of number 1, Ewins Street, Stafford Road. In November 1914, he enlisted with the 8th Battalion of the South Staffordshire Regiment (number 15624). He was killed in action on 25 August 1915 at the age of 37. 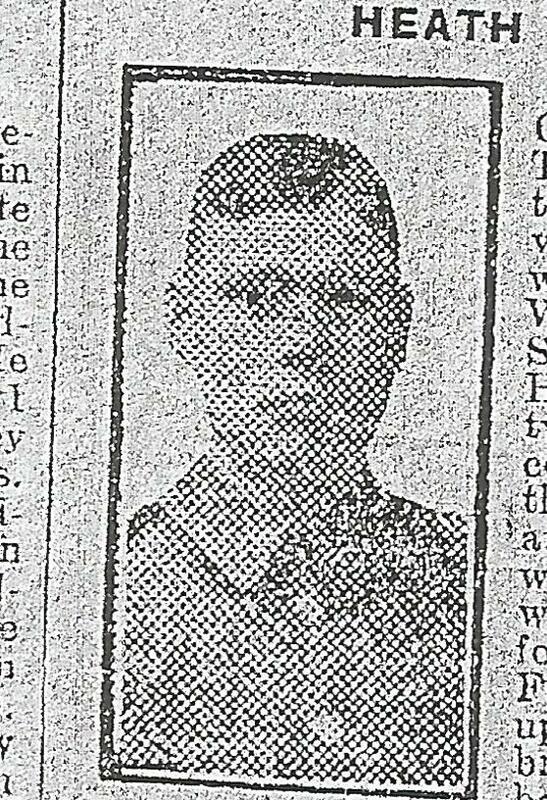 An article in the Express & Star on 24 September 1915 stated that he had been “shot through the heart just behind the trenches. Death was quite instantaneous.” He is commemorated at the Voormezeele Enclosure No 3 in Belgium. Frederick Constable was born in Wolverhampton in 1892, the son of Alfred and Emma Constable. In 1901 they were living at 54 Walsall Street, together with Frederick’s brother Alfred and sister Emma. Frederick later worked at the foundry of T. and C. Clark and Co. Ltd in Horseley Fields. He joined the Territorial Force in 1909. Frederick became a Corporal in the 4th Staffordshire Battery of the Royal Field Artillery (number 562). 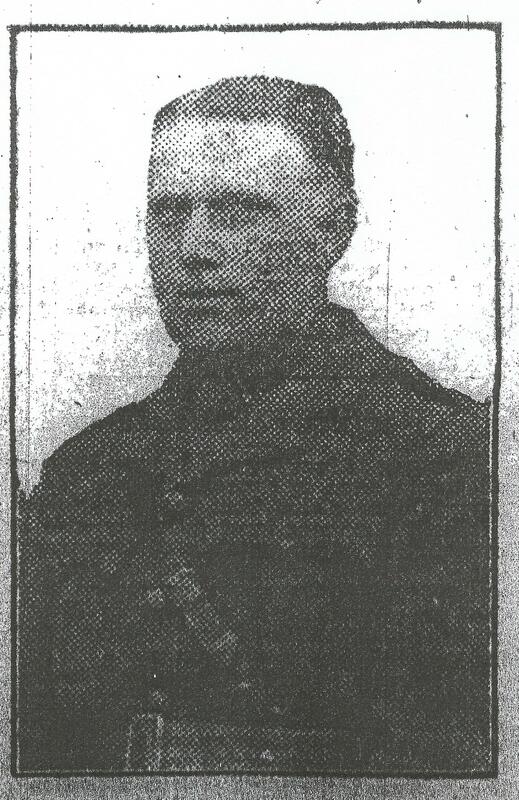 He was killed in action on 2 September 1915, and an article about him appeared in the Express & Star on 24 September. He is commemorated at the Railway Dugouts Burial Ground (Transport Farm) in Belgium.